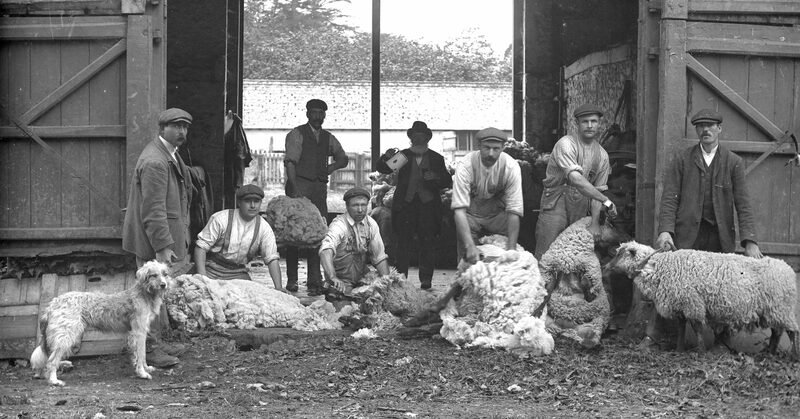 Farming was the main occupation for most people in the area, Shaftesbury being the central distribution point for produce through its important weekly markets and auctions. Produce was processed and sent to many long distance destinations. 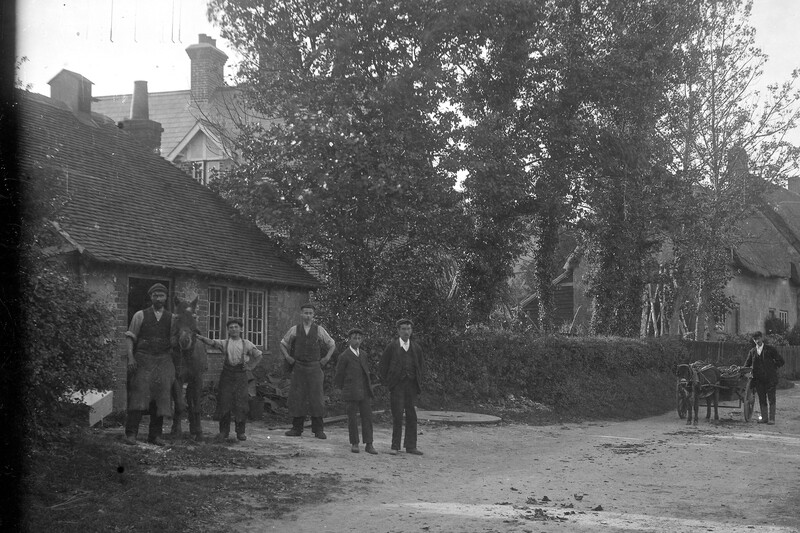 Peter Stanier writes that Salisbury, Semley and Gillingham Dairies Ltd was a major dairy processing and supply business, sending produce to London from Semley Station from the late 1800’s. ‘It had a transport department, cheese cellars and a tin-smith shop for making milk churns. Gillingham was also known for the Oake Woods bacon factory. Oake Woods & Co. grew to be a major employer in the town, with a workforce of 150. The factory had its own well and the extensive cellars were said to be the best in the country for curing. There were five mills on tributaries of the River Stour, at Melbury Abbas (Barfoot Farm), Spragg’s Mill, Cann Mill, French Mill and Gears Mill. A second stream, the Fontmell Brook, had at least seven mills, including Higher Mill, Piper’s Mill, Hurdle’s Mill, Pegg’s Farm and Farrington Mill. 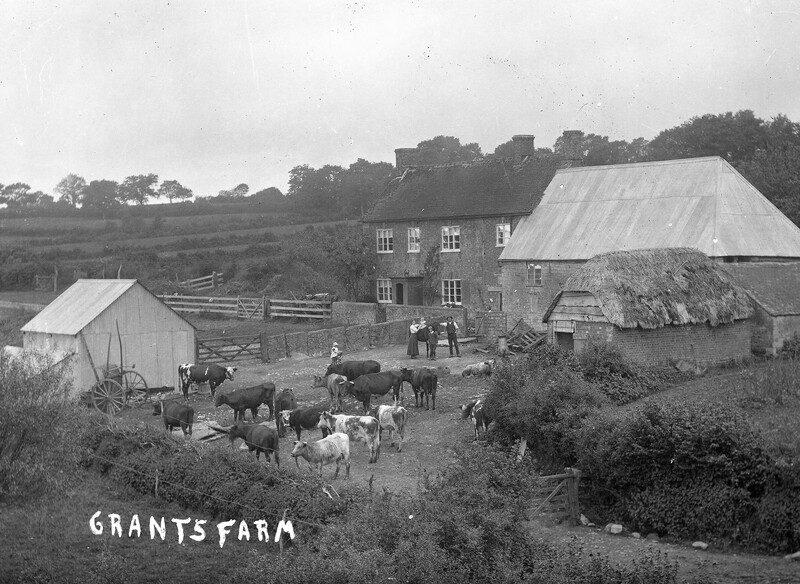 Cann had two flour mills (one still produces flour) and, like Shaftesbury, had several market gardens. 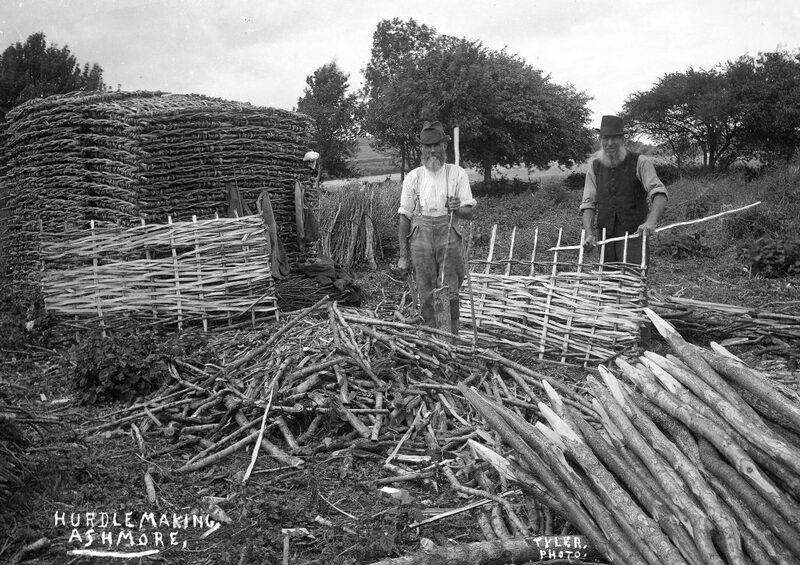 Ashmore was heavily wooded, and a good source of material for faggots and hurdles. Local farmers grew crops and reared animals which most suited their particular situation and land. 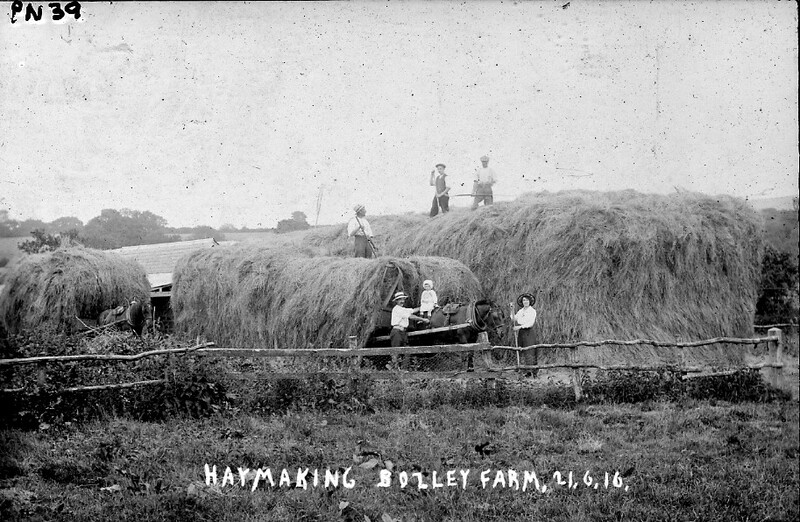 Many farms were devoted to dairy pasture, producing large quantities of butter and cheese, while others specialised in growing wheat, oats, barley and beans. Fontmell Magna and East and West Orchard were well known for their apple orchards and cider-making. There were extensive watercress beds in Fovant, Ludwell and at Springhead, using the local natural springs. 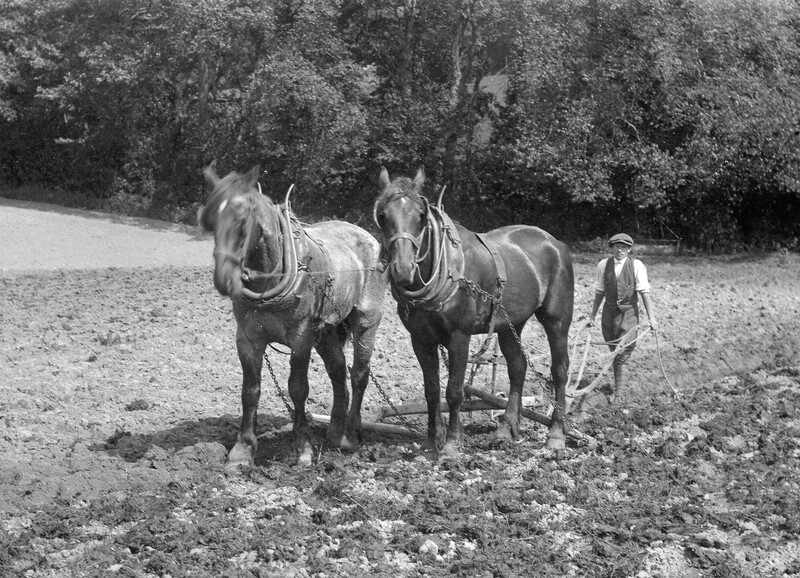 Watercress was taken to Semley Station, and sold in London, Birmingham, Bristol and Manchester. Even in the town, Shaftesbury residents often kept pigs and chickens in their back gardens, and during the war they were encouraged to produce as much food themselves as possible. There were extensive allotments in the town, some of which were later used for post-war housing, for example on Coppice Street. Many young farm workers signed up, and so women, children and those too old to serve were encouraged to take their places and help. Throughout the early 20th century there were outbreaks of foot-and-mouth disease, and restrictions on movement of animals were enforced by law. 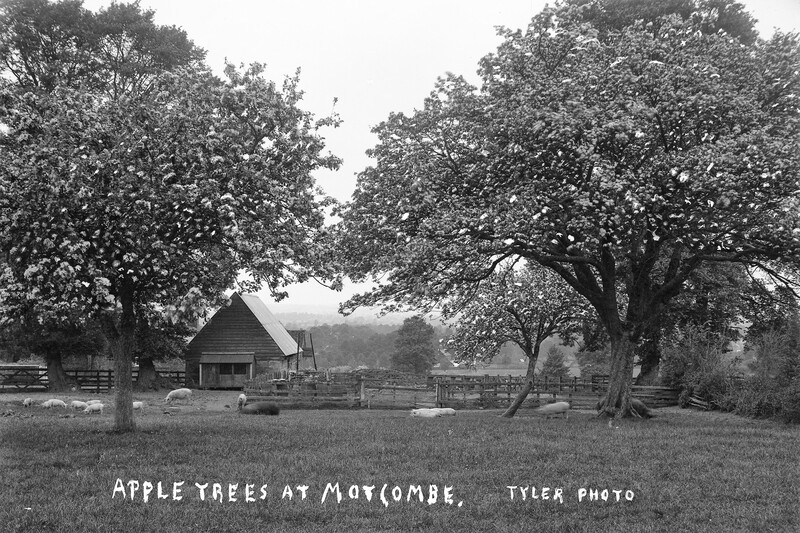 Apart from farms/small holdings, it was common in many of the villages surrounding Shaftesbury to have a butcher, market gardener, cowkeeper and at least one blacksmith. In 1908 there were separate shows for each town. In 1912 an outbreak of foot-and-mouth disease caused both shows to be cancelled. In 1913 Gillingham suggested that the shows should be amalgamated or that they should be held in alternate years. Shaftesbury unanimously turned down the suggestion. Between 1914 and 1918 Shaftesbury Show was suspended for the duration of the war. However both societies met regularly to raise funds, and the Shaftesbury minutes record £740 being sent to the Red Cross for the purchase of X-Ray appliances to be installed in local Red Cross Hospitals in Mere, Gillingham and at the Westminster Memorial Hospital in Shaftesbury. 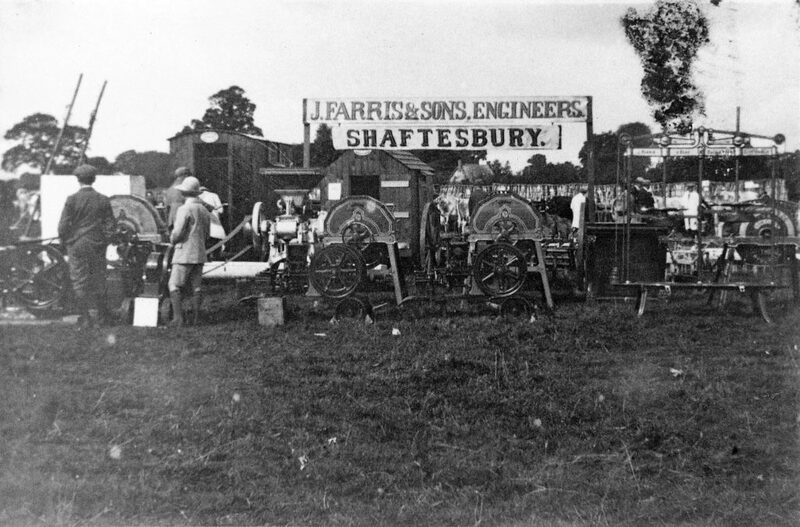 In 1919 the Shaftesbury Show restarted, with an admission price of 1s 6d. (worth £6 in 2017) The show moved onto land owned by Mr Burton. The Shaftesbury Committee arranged a ‘Promenade Concert with fireworks and illuminations’ to be held at Pensbury House on the same evening as the show, and to engage the Shaftesbury Comrades Band. 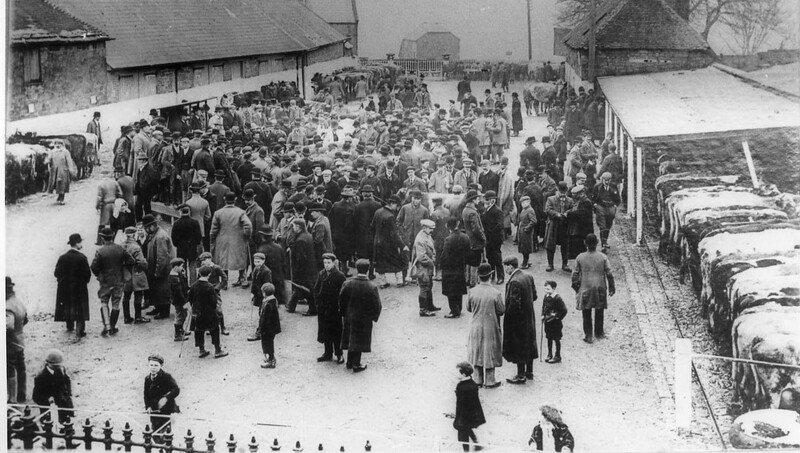 In 1920 the Gillingham Show restarted but as there was no capital, all members were asked to deposit £5 on long term loan. This was later refunded after a successful show in 1921. Shaftesbury’s society was also lacking in funds. Members were asked to produce a float of £4 each. There is no record whether this was refunded. In 1902 Mr John Jeffrey applied to the town council to revive the town market. Permission was given and sales were held from then on every fortnight for many years. By 1908 special sales of store cattle and barren cows started and up to 400 cattle a fortnight were being sold. Most of the stock walked to and from the market. The auctioneers arranged to walk the cattle to Semley station and rail them free of charge for long distance buyers. Cattle bought by the Midland buyers were taken to the auctioneer’s farm, kept over the week-end free of charge and loaded on Monday. The market developed rapidly. During the First World War it carried on successfully and was ready to take advantage of rapidly developing motor haulage. Gillingham also had a calf market, the second biggest in England in 1911. 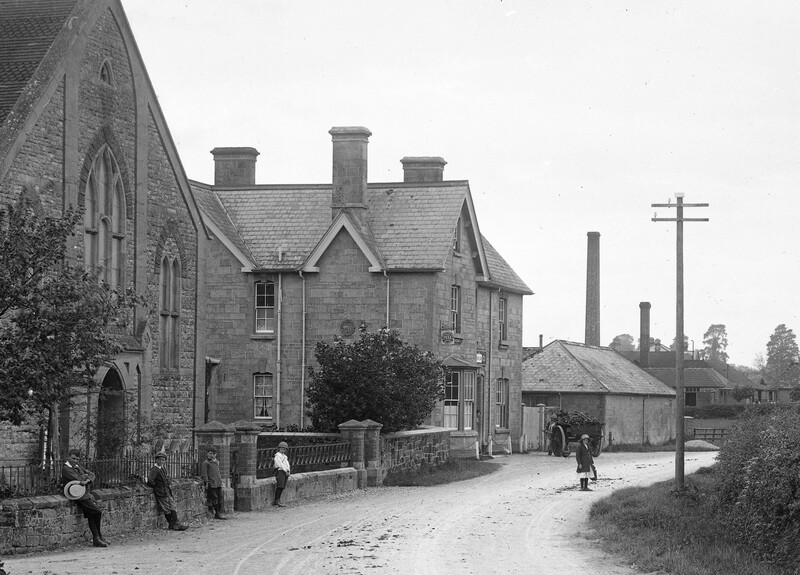 In 1878 Charles and Veronica Prideaux moved to Motcombe, and set up a business selling eggs and butter. In 1892 they opened a factory in Stalbridge followed in 1897 by one in Shillingstone. By 1900 Charles began producing edible casein or Casumen, and the Prideaux Casein and Milk Food Company Ltd was founded. They gained contracts for military hospitals and opened a factory in Evercreech. This was followed in 1907 by a factory in Mere and in 1910 by one in Castle Cary. In 1914 C & G Prideaux Ltd was incorporated, the shares being held by the family. Full cream milk powder was produced under the name Dorsella. The First World War brought new Government contracts and increased business – especially with regard to dried milk powder for hospitals and abroad. During the war the turnover amounted to £1 million per year. It also meant a change in the workforce.With many men leaving to fight and women taking their place, the workforce now totalled over 200. A print works in Gillingham was started during this time to produce packaging. After the war, fearing unionism and the left, Charles called a meeting of his returning workers; during which he discussed the financial details of the business, along with other matters. He later took advantage of new Government subsidies to build new houses in Motcombe for his employees. In 1920 26 houses were built, all with gardens and modern conveniences. In 1900 the price of wheat per quarter was 25s 8d [£101 in 2017]; in 1910 36s 11d [£147]; and by 1915 it was 52s 10d (£211]. In 1916 Britain had only six weeks supply of wheat, and voluntary rationing was introduced. Food prices rocketed as shortages became worse. When the Corn Production Act was passed in 1917, guaranteeing a minimum price for wheat and oats and minimum wage for farm labourers, the price increased to 75s 9d [£302]. 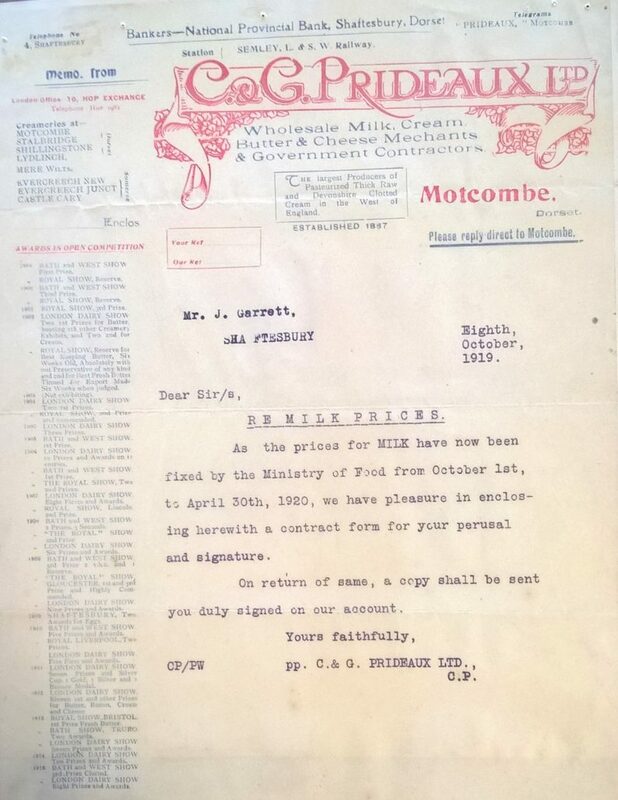 In 1920 after the Agricultural Act was passed regulating cereal prices, the price of wheat rose to 80s 10d [£323], more than twice the price in 1910. Most of the agricultural land and villages belonged to a few very extensive estates, with large farms appearing to dominate land tenure. However this is misleading as many people rented an acre or two and kept livestock: a few cows, pigs, sheep or chickens. With this, and careful cultivation of their gardens, they were able to supplement meagre farm workers’ wages. In 1900 there were 17 allotments sites in Shaftesbury including Enmore Green and St James. Mr B E Freame of Gillingham wrote a letter in October 1914 to the Western Gazette, urging each parish to harvest and re-sow allotments of men who were serving in the forces. From a national point of view it was of equally vital importance that every acre of land should be fully cropped. (The Bench felt sympathy for the accused and fined him a nominal amount). ‘Farmers and the War – Valuable Suggestions from Board of Agriculture. The acreage under wheat should be largely increased wherever practicable. In this direction it should not be forgotten that on clean land, and by the aid of suitable artificial manure, good crops of wheat can be obtained in successive years. Where wheat cannot be grown, the sowing of winter oats, winter barley and rye might be substituted. These crops ripen early and allow the labour on harvest to be evenly distributed. The cabbage crop is also one to be considered where land can be spared. It provides a considerable weight of food suitable for either human or animal consumption. The Shortage of Food – Shaftesbury Rural District Council. ‘In accordance with the instructions of the Food Production Department, the Dorset County War Agricultural Committee had arranged a survey of land in the county, and every field had been scheduled. The Committee allocated the area of pasture which it was necessary to break in order that the government scheme for ensuring the food supplies of the country in the time of national emergency could be carried out as far as Dorset is concerned. ‘At the Town Hall, Dorchester an assembly of farmers took place . The enemy submarine had made it imperative to grow more food at home in order that they might not weaken the nation by having to buy food from foreign sources. It was not now the submarine alone which concerned them, but whether there was food enough in the world, even if they could get it into the country, to enable them to feed the people. They, too, had to divert food for the support of France and Italy. The speaker proceeded to point out that it was necessary to make up the present deficiency of food by every possible means in their power, and that was why they were appealing to the farmer to pull the country out of the scarcity which faced them. Many of the women who were coming out to help the farmers, were, to say the least, enthusiastic and farmers should be considerate to them. The main point at issue was that we were 20% short of the normal output of food, and it was up to the farmers of the kingdom to make up that deficiency and add to the supply of food to the best of their powers. The “Traitorous Pig” Pigs were causing perhaps more trouble than anything that the Board of Agriculture had to deal with. Some people wrote to the Board to the effect that what was being done was positively ruining the pig trade; others wrote to say that all pigs ought to be got rid of; while others expressed their opinions that pigs in the country ought to be doubled and trebled.